Now that it’s October, why not try our DIY Felt Halloween Decorations tutorial and create your own easy, inexpensive Halloween ornaments? Using our free template, you can create a selection of ghoulish ghosts, brilliant bats, and spooky pumpkins to really add some fright-factor to your Halloween décor! Made using Dovecraft felt, these are so simple to make and you can add your own features to them to make them as detailed as you like. Why not add a loop of embroidery silk to the top to hang them around your home for some spooktacular decoration? 1. 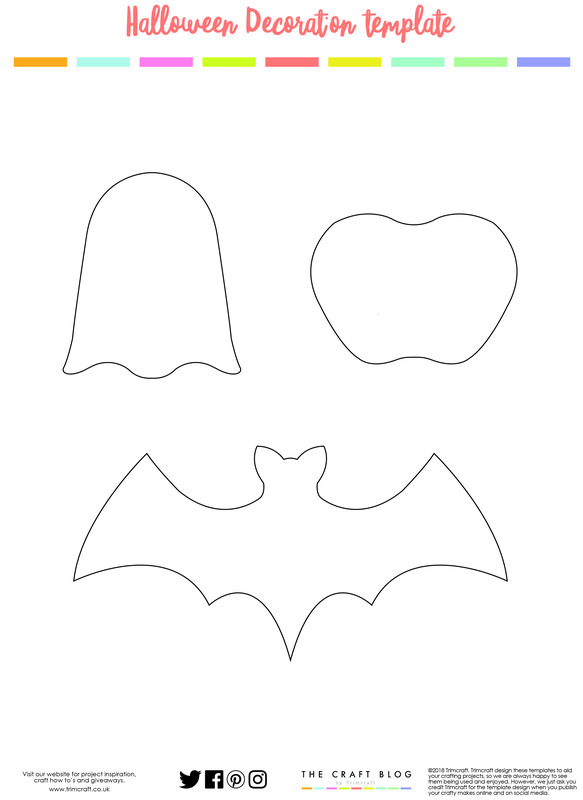 Print off your free template and cut out the shapes. Use the template to cut out the felt, so that you have two of each pieces of felt to make the front and back of your decoration. 2. Using a needle and embroidery thread, stitch extra detail into the front of your shape. We stitched a black circle, for example, to create the ghost’s mouth. 3. Stitch the two shapes together using black thread. Leave a gap to fill the ghost with toy stuffing. 4. Once you’ve added the stuffing, stitch the rest of the edges up. 5. Add googly eyes to finish. 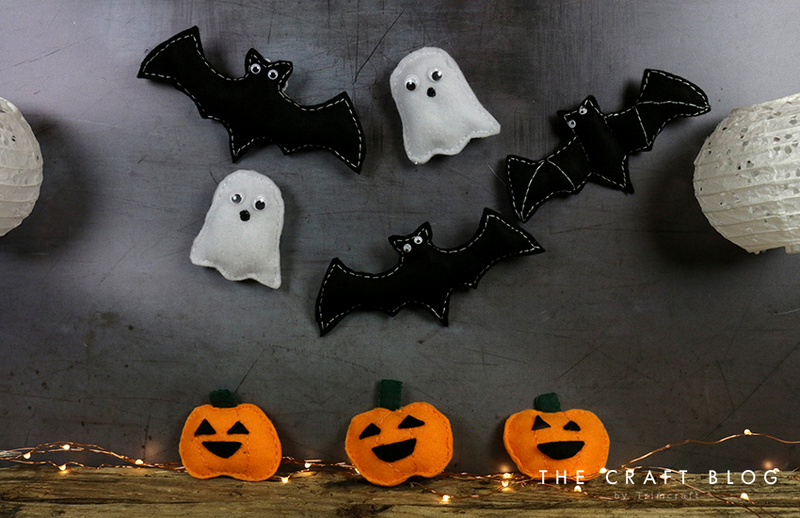 Will you be creating your own felt Halloween decorations? We’d LOVE to see, so don’t forget to #trimcraft when uploading to social media and to share your projects in the Inspiration area.